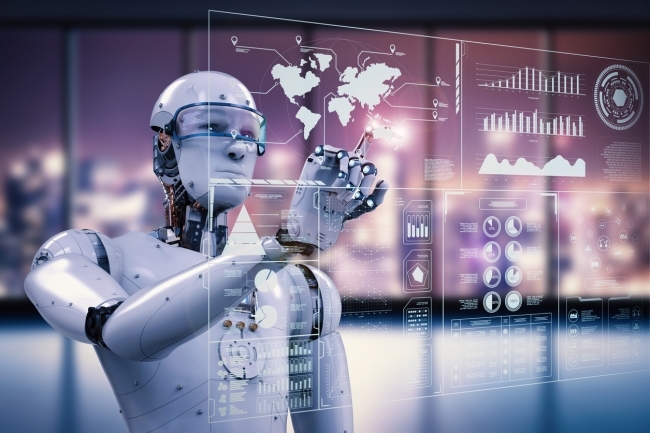 WMG at the University of Warwick, is investing in data-driven innovations with a new Centre for Applied Artificial Intelligence. The Centre will enable industry and business to leverage large volumes of digital information to gain competitive insights through Artificial Intelligence methods. This new centre brings together several applied areas of activity where WMG has an established track record of excellence. It will support the continued expansion of existing research groups in response to the ever-changing landscape of UK industrial needs. Two new appointees, Professor Giovanni Montana and Professor Mehrdad Dianati, will spearhead the Centre working closely with other academic colleagues in Intelligent Vehicles, WMG Cyber Security Centre and the Institute of Digital Healthcare. The digital revolution matured in the early 21st century has ushered us to the age of Big Data, which continues to offer new opportunities to transform many sectors where WMG has an established track record of excellence including transport, manufacturing and digital healthcare. The challenges we face lie in capturing, curating, anonymising, searching, analysing and visualising massing volumes of data as traditional data storage, management and processing tools are no longer adequate. Professor Giovanni Montana said: “Our newly established Data Science group brings expertise in statistical modelling and AI methodologies as these are essential to make sense of large volumes of structured and unstructured information and develop fully-autonomous systems that learn from data. With strengths in machine learning and high-performance computing, previous accomplishments include the large-scale implementation of computer vision systems for the automated interpretation of medical imaging exams trained on millions of radiological records, in joint work with the NHS, and statistical learning algorithms in bioinformatics and genomics research, in joint work with international academic collaborators and biomedical companies. Major ongoing efforts are spent on tacking challenging and fundamental problems in Artificial Intelligence to enable the highest impact across verticals in close collaboration with other WMG groups and industry. Professor Mehrdad Dianati from Intelligent Vehicles (IV) Research at WMG added: “I embrace the challenges to be overcome before fully autonomous vehicles move from concept to commercialisation – this includes, technical solutions, which will enable safe, efficient and secure connected autonomous vehicles. “These are critical factors for ensuring consumer acceptance of autonomous vehicles. WMG hosts a wide range of unique IV research facilities and internationally renowned for its research in this area. There are currently many issues, across sectors, where Big Data and AI can have a massive impact on how systems, infrastructure, and mobility are developed and transformed. These are the challenges that Professor Lord Bhattacharyya, Chairman and Founder of WMG is striving to deliver, working closely with Industrial Professors including Professor Gero Kempf of Jaguar Land Rover.